This one is a very small tribute to rise awareness of Genocides and Human Rights violations in history, the map is themed in the Rwandan Genocide of 1994, as a tribute it is not much at all, but it is a small thing i have been wanting to do for a while. It was very very very hard to avoid making a completely city themed map similar to Oumanville, but i really wanted to layout to be more of the style that i have been working on lately (simpler functional layouts), instead of others such as Foxtrot Labs, Kamala Park or Hesperium. I hope you joys enjoy the map!.... and the reading! ◙ 1 central Xel'naga watch tower. ◙ When spawning in horizontal or vertical positions central highground plays a mostly small part until the lategame stages. ◙ In horizontal and vertical positions border corridor must be watched very carefully. ◙ As a 166^2 Dallaire is a big sized map for my standards. 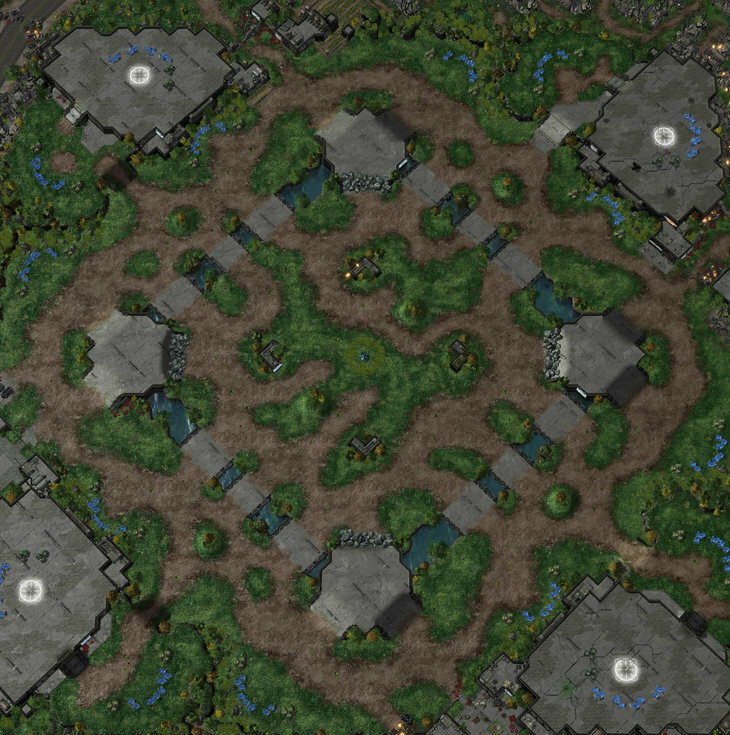 ◙ Open center of the map with a central Xel'naga makes for interesting positional plays. ◙ Bridges leading into the players can be very treacherous, beware when crossing! I have been having problems uploading to the Korean/Taiwanese & SEA servers lately, so for the moment the map is not available in the Korean/Taiwanese sadly, i'll see if i can upload the map at a later date. Any feedback regarding the map is more than welcome. Excellent use of rocks! I can't stress that enough. And very pretty texturing. I really like the path(s) between adjacent spawns. The 3rds are open as hell, but I guess (...?) 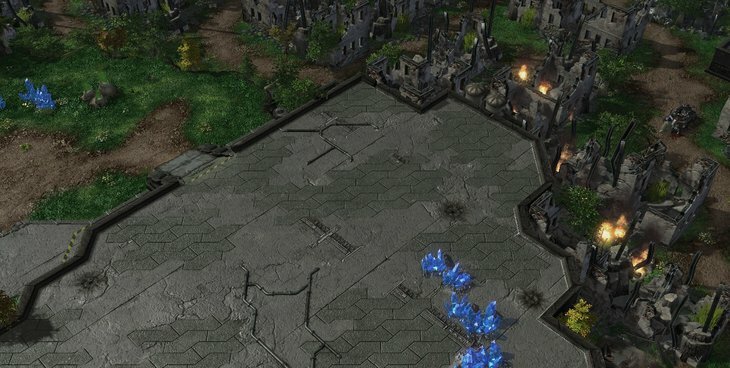 protoss can handle that these days. 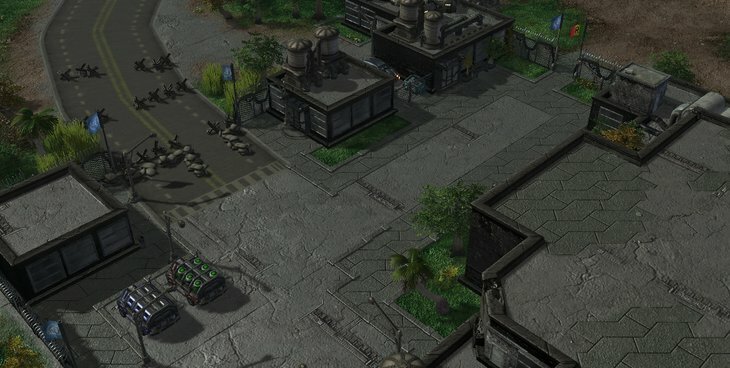 Terran will be little vulnerable too. I feel like this map is the next iteration of whorlwind, in the best possible way. What i really like about this particular map is that is very very easy to make balance edits, it is very modular in that regard. 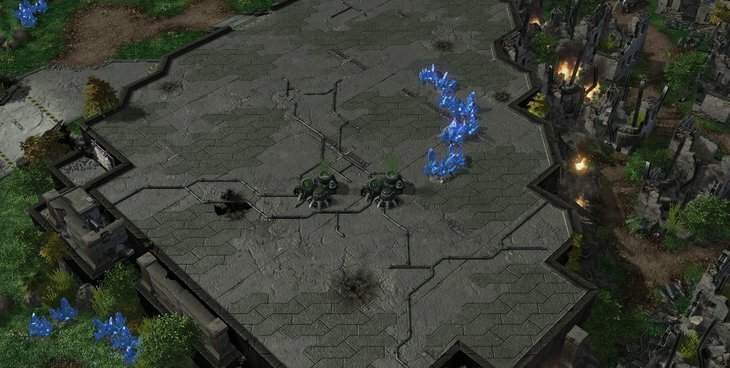 Do Protoss players have problems with 3rds? Well i can tighten the bridges or add a set of destructible rocks (4x4/6x6) near the outer side of the thirds, and it is fixed. Can the players turtle too easily on 4 bases? Just move them a bit farther away and they become much harder to hold without map control, the layout is quite forgiving in that regard, unlike in more complex maps such as Hesperium or Foxtrot where there is basically no room to move anything without breaking something else. I think there's an issue here with the center. I can't motivate why armies would willingly move through that area unless you're in cross positions. It seems to me one race is always going to want to use the choked up direct path which would force the other race to defend within the choked path (going to the center would result in a base trade, not always desirable). As such I think you should do things to increase the strategic value of holding the center. Draw a line between 3rd bases. It goes through the middle. There's a natural draw to the tower (even though it's not needed for pushes). 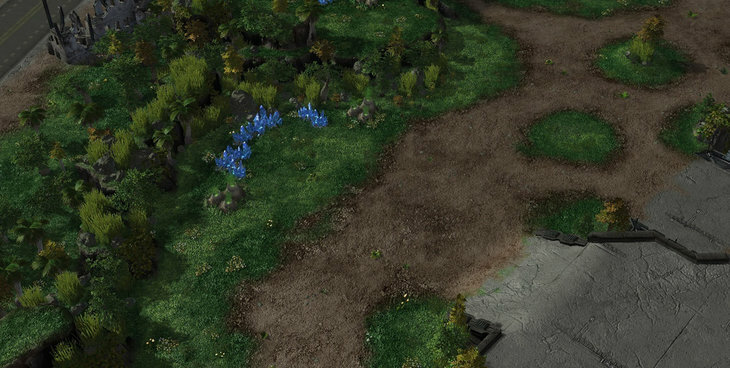 But most importantly, the highgrounds are perfect flanking perches once the rocks are down. 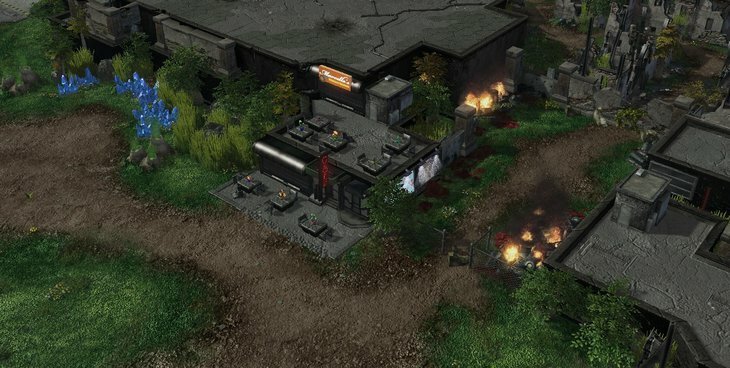 But for instance, in TvZ Terrans tend to want to expand towards the Zerg (and want to fight in choked up areas). Now the line between 3rds avoids the center. Hmm, true. But there are still flanking opportunities. 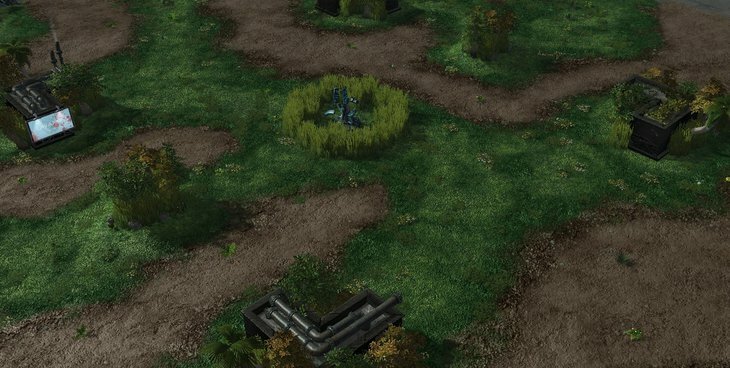 Also you made me just realize that given the situation you describe, the zerg would probably spread creep along the outside path. 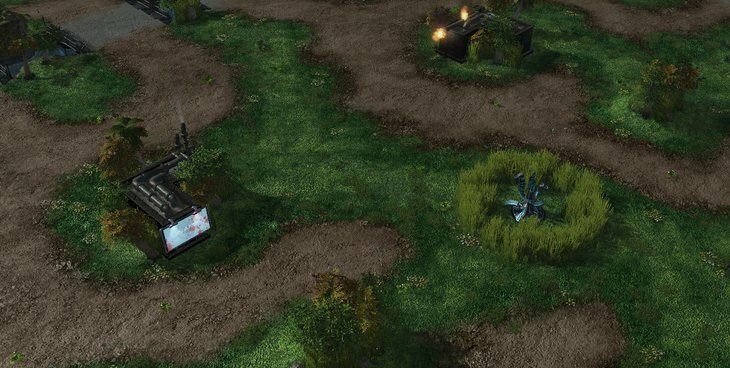 This might induce the terran to push through mid instead. idk? I really like it, especially the bridges. I do agree about Plexa's comment re the center, but what if you shift the anti-clockwise thirds (the ones next to the nats) further away, closer to those high-ground pods? Feel like that'll make a-cw. 4ths more tempting for the defending race and open up some cross-map travel vectors, activating the center? Anyway, real cool stuff. Damn the map looks good. The overview is pretty hard to read though. To me it looks like a very big, 4 spawns, Merry go round. 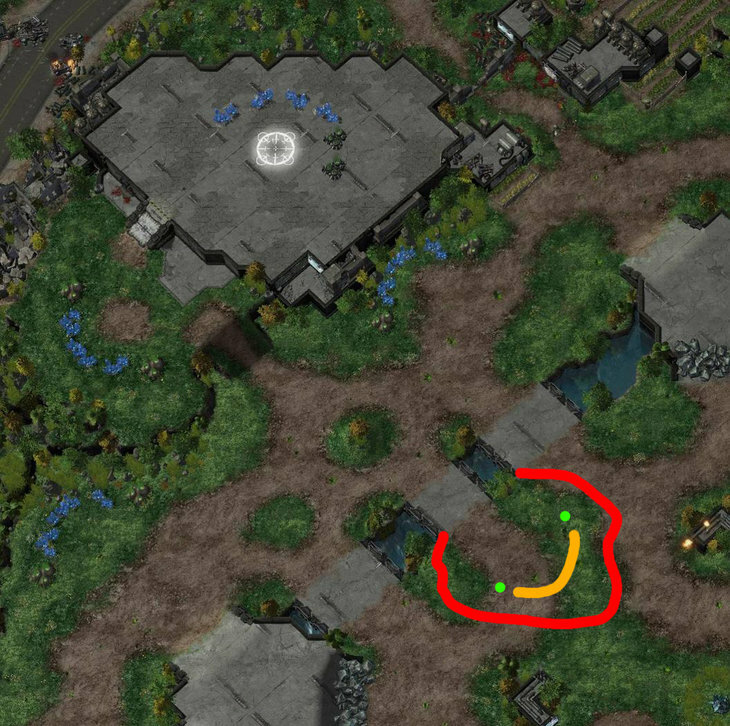 As such, I think close spawns seem fine, but cross is way too big and open. 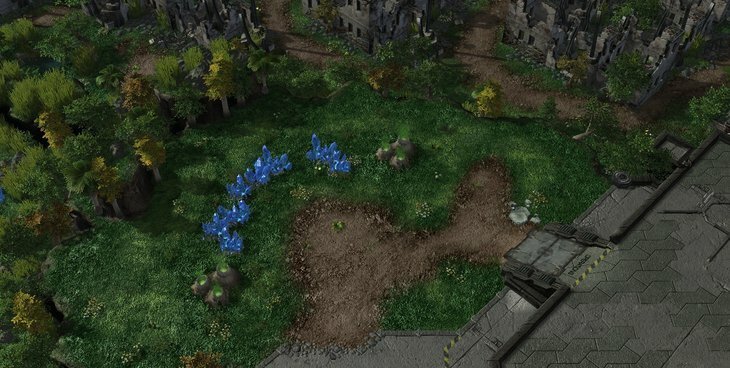 Cross spawns are sure to favor Zerg, so I would either disable them, or choke them middle some, to give Terran and Protoss players the option to go through it. Hmmmm if one of the two thirds were mineral only, and the others were more tucked away in the corners (more ramps/chokes to get to them) and also rocks removed + xel'naga removed, then I think this map should work really well for Starbow. 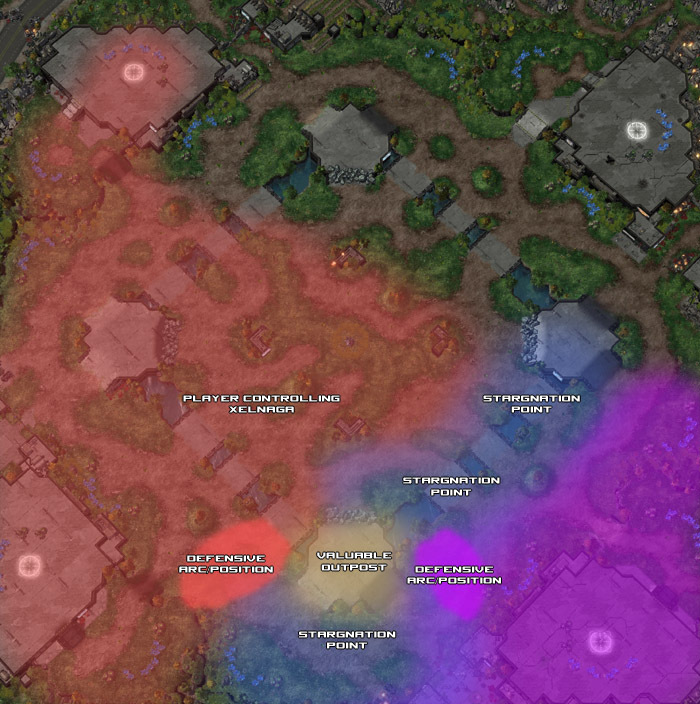 @Mosko/Plexa, regarding the bigger Merry-go-round yeah the map uses concepts of Merry go round and Foxtrot SE in horiz spawn, more specifically what i like to call "stagnation zones" (maybe you guys can think of a better term). These are places that can't really be held by neither player, one can put pressure on the area, but not really hold it, in this case the stagnation zone would the path underneath the highgrounds that separate the players when spawn in horiz or cross, these behave like Superouman bridges, but on big scale, they become quite visible when seeing the map under a influence cloud. 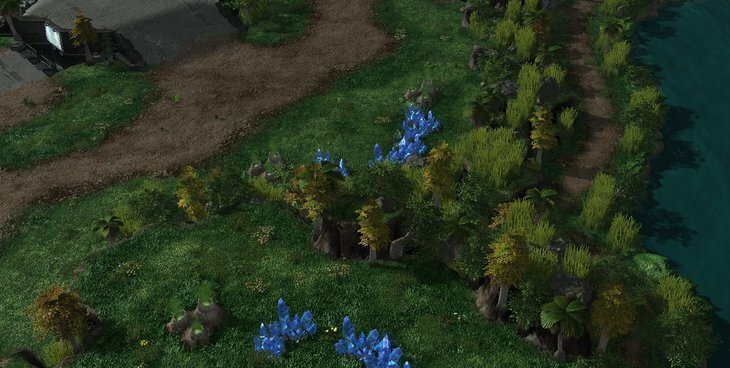 As they are now they are not very hard for zerg under most circumstances, because the defensive areas/arcs can be pretty big for them meaning that players won't want to get in there in the first place (stagnation) without having a flank set up first or knowing that his opponent is out of position. The issue here happens when players play with a terrain control focused style such as biomine or mech and control the stagnation point, that makes the defensive player have to move into the attacking army giving up his strong concave/position, i'm trying to avoid these issues with the rocks in the middle highground so the defensive player can destroy said rocks and flank the attacking terrain control army. Things like these hopefully won't need to happen most of the times, because it is not viable for players to always have to take down the rocks and make complicated maneuvers just to be able to attack the enemy army efficiently, that's why i'm publishing the map as it is now to see how it behaves with more games played other than the ones i and the testers did. @Plexa Regarding the Xel'nagas and the center, my plans for the center is not to be a direct contention point, i want it be more of a indirect one, the center in Dallaire is a strategic position to fend off harass to your far away bases (fourths and on) and to support attacks into the natural/enemy central rally point, at least that's the role it plays when being played when players spawn in horiz/vertical spawns. 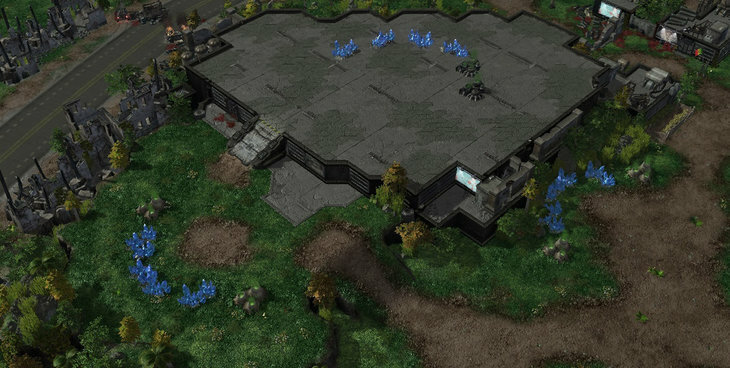 When played in diagonal spawns the center plays more like it would in a standard map, but it is quite open-ish which favours Z a bit, none the less i wouldn't say that it will be an issue given the positions of the overlord pods that block the army position of Zergs the most. @Xiphias Yeah in this map i'm using some of the things i have learned with starbow/BW maps that's why it kind of looks like it may play out fine in SB, nonetheless i wouldn't use it for it, because of the way the thirds and fourths are set up, not to mention that the stagnation points/bridges do not work well in SB because of tanks+spider mines (as seen in Noah's Ark). 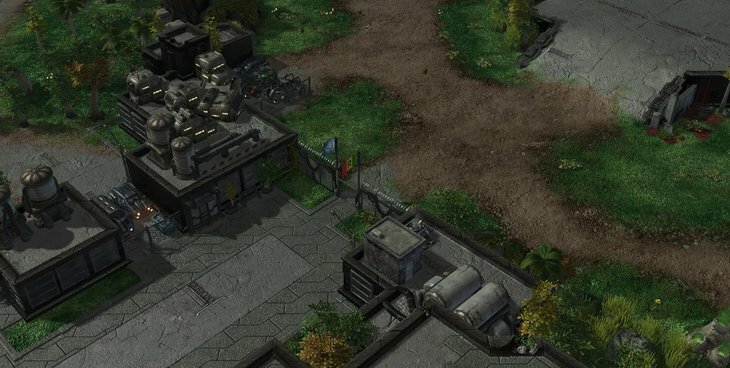 Due to the texturing everything just looks and feels more natural... and that's what really gets me excited about a map. 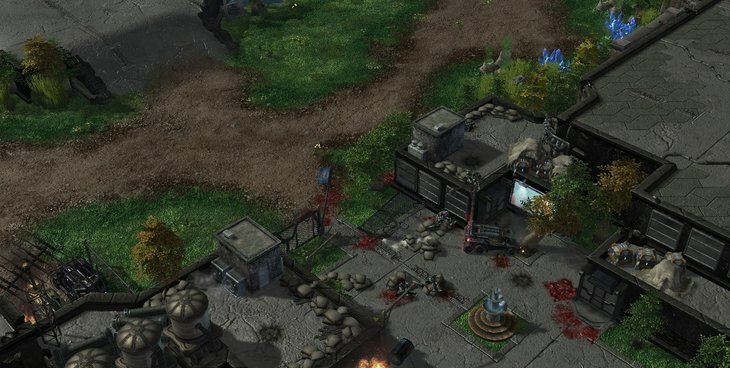 I enjoy when they appear more like natural scenes where battles spontaneously erupt as opposed to high tech battlefields designed specifically for SC2 matches. I agree, blizzkrieg. There are tons of BW maps that feel this way, even the space platform ones, where battle lines seem to coalesce and evolve, rather than follow predetermined guiding geometry. I don't like this map at all. All the bases are hugged in the corners and the middle is completely 100% useless. You really need to add a base towards the middle so it will be traversed more. 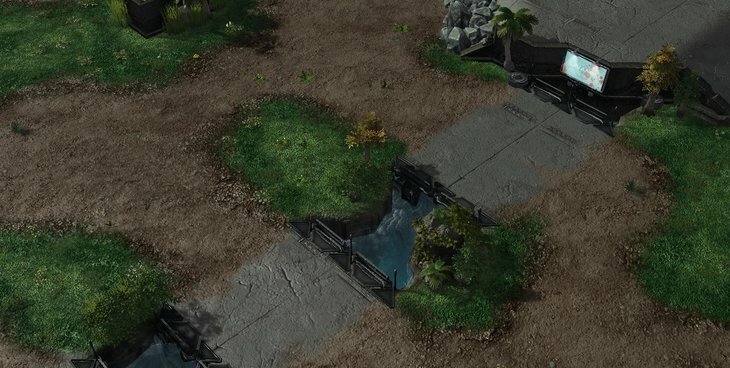 How about adding an "island" base at the middle ramp that goes towards the middle. A high yield gas or mineral base there would be awesome. Here, I'll draw a picture so you kind of understand what I'm saying. Doing something like this will make players want to expand to it as a third yet it'll force them to take control of the middle of the map to defend it. I think just doing a simple change like this would be awesome. 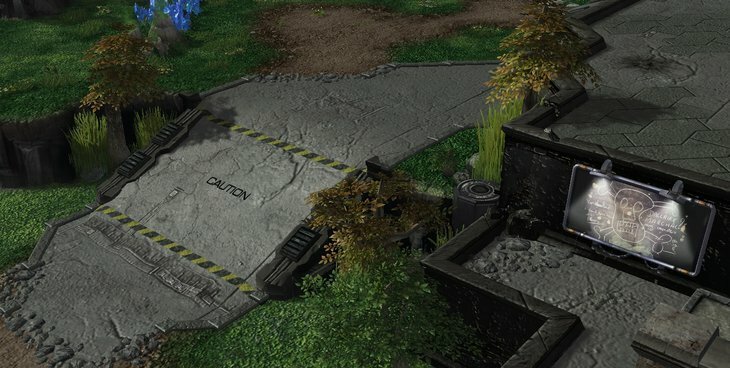 You'd still keep the bridges and the rest of the integrity of the map but a simple change like this would really give players a choice on what 3rd they want to take. Either the one by their main, the once horizontal/verticle to their main, or the high yield gas/mineral one. 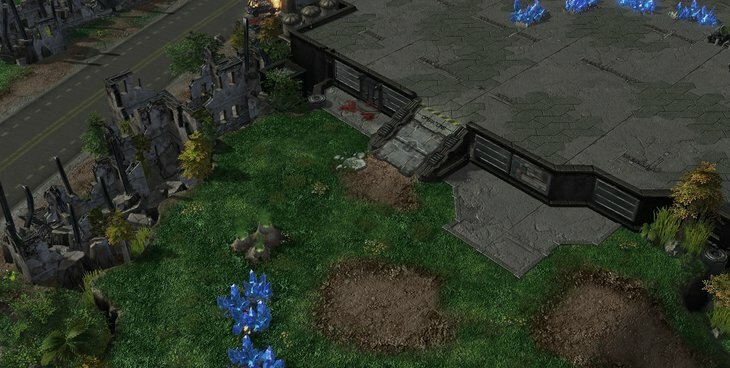 Maybe zerg will take the high yeild 3rd and now they have a ton of open space in the middle to defend, yet now they have to defend all that space so maybe an attack from the side will do a ton of damage. 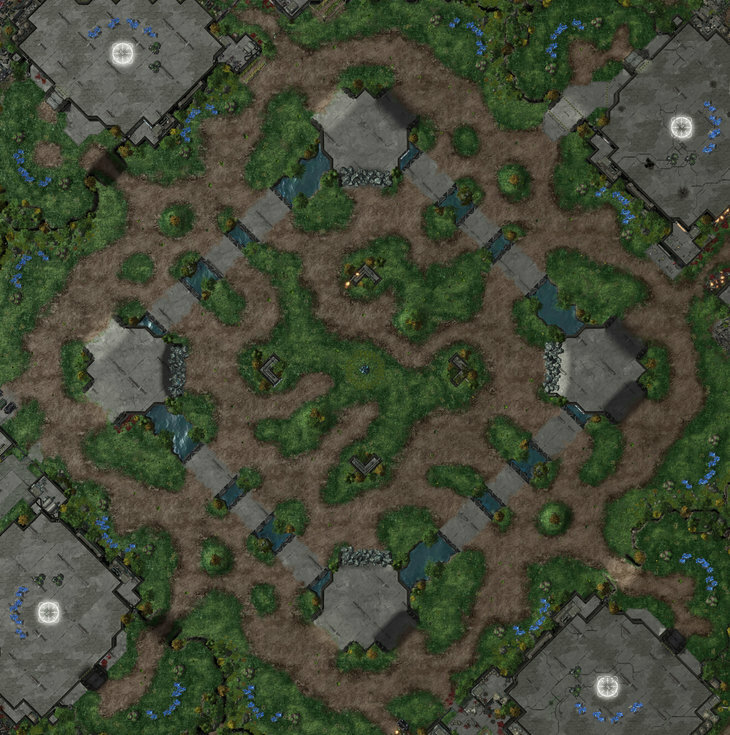 Maybe terran will gangnum style it and it could be great, but then again it's a 4p map so do you know where they spawned? Can you take the high yield base then take your nat as your 2nd, then the main as the 3rd? Could be good! Either way, it makes them move out and take control of the middle of the map. Currently there is no reason to move through the middle. It's too open and too unimportant. 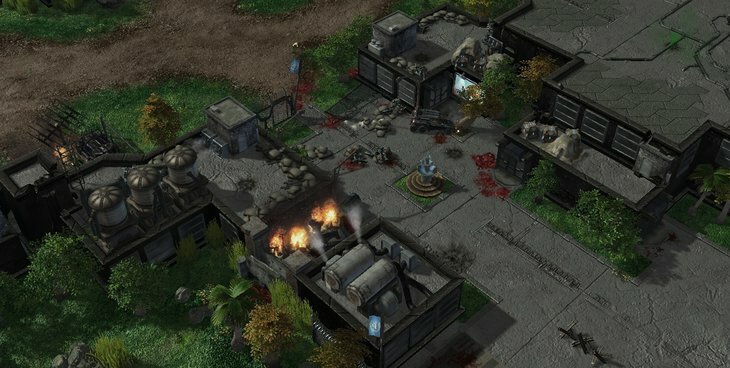 I like the map, I enjoy the choice of bases for your third depending on spawns, but I think the middle needs a base or 2. I have no opinions on the gameplay, but this map is beautiful! Uvantak, you consistently put out some of the most gorgeous looking maps out there. I wish other map makers had your flair for aesthetics. Well done. For what it's worth, I think the middle is too empty to be a true point of contention and I fear the absence of a good fifth will really encourage turtle 4 bases play. I'm not sure how to deal with those issues, maybe having a slightly harder fourth with easier 4th to 5th flow. 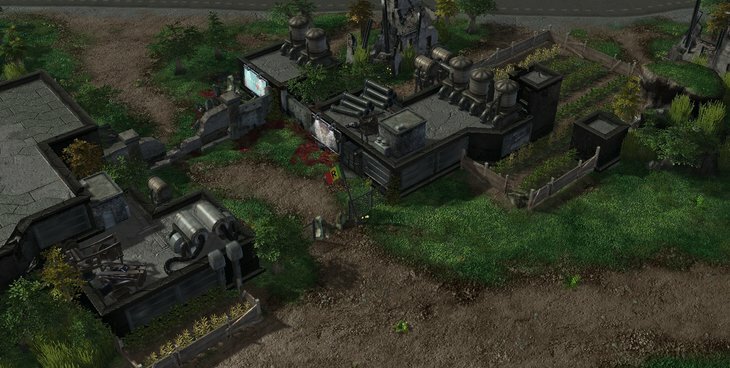 As it stands the map will probably have heavy 4 bases stronghold syndrome. Aesthetically, it's definitely an excellent work though.